Grass, bamboo. Length-30.3 cm, Outside Diameter-32.5 cm. A large, circular, vegetable drying basket from the Pekin Restaurant (proprietor Sue Lem Bing). It is of woven construction. The sides and base are one piece. It appears to be made out of thin strips of bamboo and the horizontal bands on the sides are bound together in groups of three; the vertical bands are diagonal. On the outside of the base is a thick X. Around the outside of the base and rim are tightly wrapped and twisted, small, thick strips, of the same material. 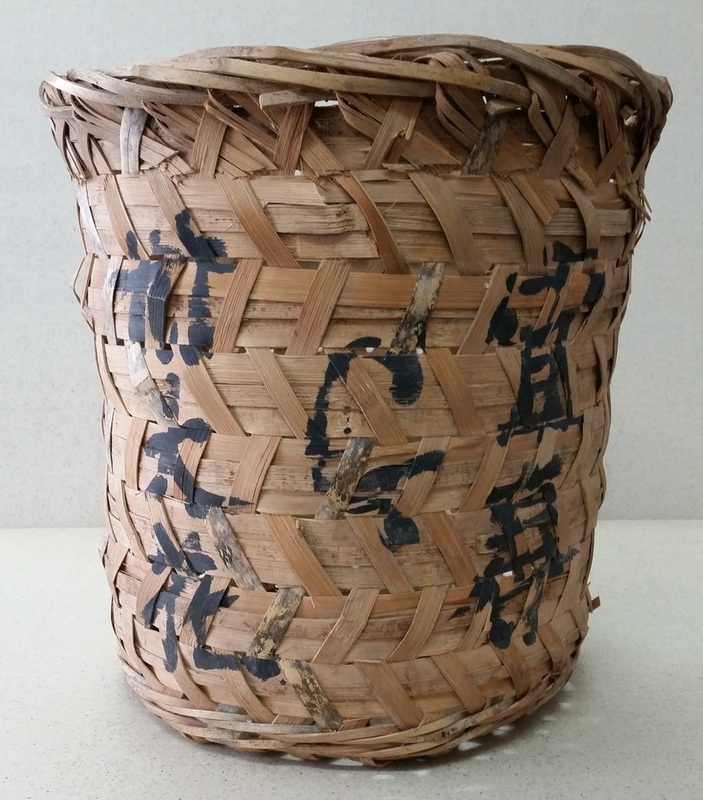 On the outside of the basket, on one side, are three columns of large Chinese characters* in black paint. *Translation: Dried Beans.